This year’s Serious Games Showcase & Challenge (SGS&C) winners were announced at an award ceremony the final day of the Interservice/Industry Training, Simulation and Education Conference (I/ITSEC), early December. The Serious Games industry has really raised the bar for the art of the possible demonstrating it is getting to grips with the aspired degree of fun and engagement in game-based learning applications. Many companies that have traditionally been considered entertainment games companies had a large presence at the conference, and many booths had one games-related project for people to experience. It is clear that gaming technologies are gaining substantial ground in the Modeling and Simulation Community. The Serious Games Showcase & Challenge has also experienced substantial growth during I/ITSEC over the last six years. The event has drawn so much attention, the award ceremony needed to be moved to a larger area on the I/ITSEC floor. Growth was also evident in the number of Serious Games submissions: 2011 has welcome a 45% increase in the number of entries. 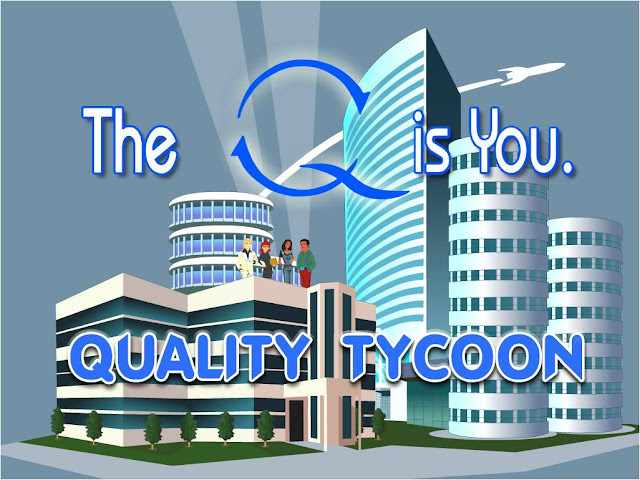 Quality Tycoon won the People's Choice "Best of Show" Award and is the latest addition to Northrop Grumman's library of Serious Games, which includes Virtual Jet Works, a location-based experience that introduces engineering concepts to students at college recruitment fairs and science, technology, engineering and mathematics (STEM) outreach events. Quality Tycoon challenges players to understand the impact Quality and Ethical Integrity have on business opportunities in a fun way. 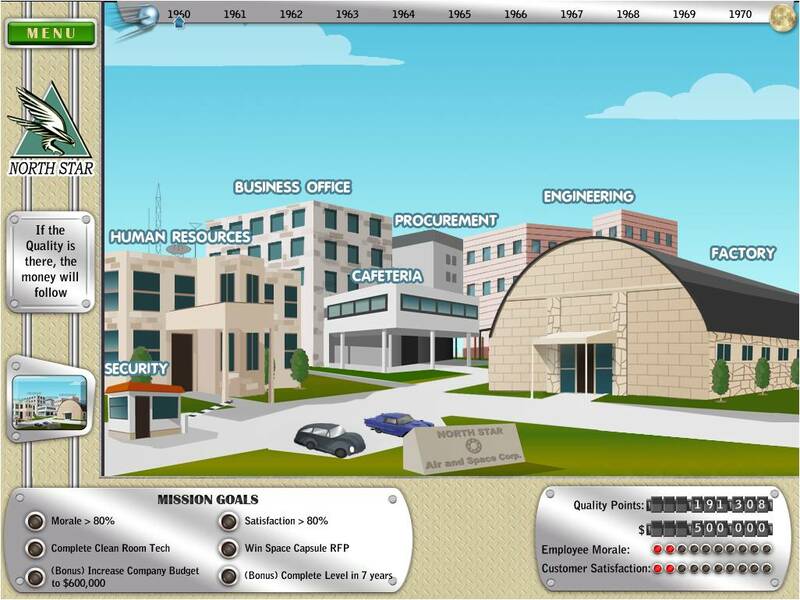 The story around the game “guiding an emerging aerospace company from humble beginnings to a trusted, go-to aerospace contractor”, allows players to decide and experience what factors contribute to company growth, while demonstrating how individual job quality has a domino effect as part of a larger effort. Initially staged in the early 1940’s, the game storyline has also the merit of paralleling the aerospace industry history, as players traverse the decades growing the company to become the top producer of high-quality, sophisticated products. The progressive game complexity along the timeline is successfully achieved via the introduction of an increasing number of business processes as well as an increasing diversity of the competitive environment scenarios, replicating real-life challenge. Proclaiming a STEM week in Orange County, particularly during the week of I/ITSEC, is a unique way for Central Florida to open their eyes a little wider and formally show STEM support. I/ITSEC encourages the Central Florida community to actively participate in the conference via many opportunities: student tours, International Pavilion, Future Leaders, America's Teachers and the 6th annual Serious Games Showcase & Challenge (SGS&C). The SGS&C is driven by a large committee of volunteers and support from sponsors, who not only provide their time, but equipment donations and student prize packages. The 2011 SGS&C was supported by the following sponsors: Hewlett Packard, MS&T Magazine (Halldale Media), Concurrent Technologies Coroporation, CACI, Intelligent Decisions, Novonics, Unity, Vcom3D, Havok, ASTI, VMASC, VirTra Sytems, and 360Ed.